The following recommendations for international organisations and for Egypt’s government are the result of roundtable discussions held in Vienna (Sept. 3, 2014), Doha (Nov. 2, 2014) and Geneva (Nov. 21, 2014). Facilitated by the International Press Institute (IPI) and the Al Jazeera Media Network, the discussions brought together journalists, academics, members of civil society and others to address challenges facing press freedom and media independence in Egypt. 1. When addressing the state of media freedom in Egypt, focus on freedom of expression and press freedom, rather than political and tactical disagreements that could be divisive. 2. Work to create and support international agreements and mechanisms to protect journalists’ safety and limit impunity for crimes against journalists. 3. Support independent journalism by working with journalists both within traditional media outlets and outside of them, by encouraging independent projects and by broadening the traditional definition of “journalist”. In this regard, consider broadly accepted definitions and other materials developed by UNESCO and the Council of Europe. 4. Strengthen the legal assistance available to journalists by offering training to attorneys, by supplying financial resources to provide journalists with legal counsel and by building a movement of international jurists to push for safeguards protecting judicial integrity. 5. Work to improve journalists’ knowledge of relevant local legal provisions, such as anti-terrorism laws and criminal defamation and insult laws, especially foreign reporters. 6. Pressure the Egyptian government to improve its policies by increasing participation in regional conferences on journalism and media freedom, by putting forth plans of action and by condemning harassment and attacks. 7. Diversify the campaign to include intellectuals and artists in Egypt, as well as stakeholders across the region. 8. Work to create international ethical standards and codes of conduct for journalists. 9. Hold journalists accountable for the veracity of their work by creating a culture of professional critique and by developing measures to encourage media institutions in Egypt to respect international standards of journalism, involving journalists’ unions in such an effort at the international and national level. 10. Encourage foreign embassies to hold events addressing specific media freedom issues and highlighting local legal provisions that can hinder journalists’ work. 11. Join in promotional efforts to raise awareness within Egypt that journalists – including those who share unpopular viewpoints – are not spies or terrorists, and focus on campaigns that include broadcast and online capabilities to achieve maximum exposure. 12. 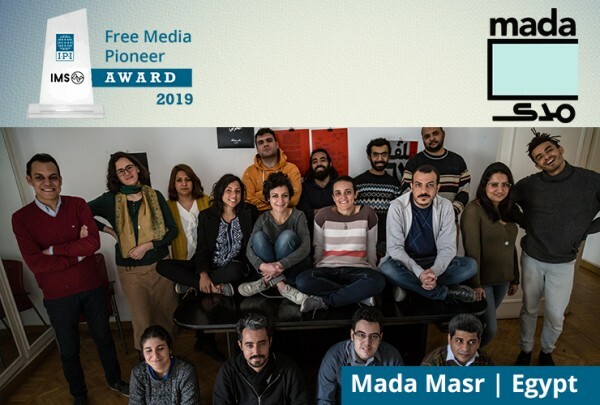 Support the creation of a national ombudsman – based in Cairo and subject to guarantees of independence from the government – to oversee and investigate complaints accusing media houses of alleged ethical violations. 13. Highlight court rulings with respect to freedom of expression, particularly those by the African Court on Human and Peoples’ Rights, an international court to which Egypt is attached based on its membership in the African Union and which in 2014 rejected the application of imprisonment in defamation cases. Egypt should also be urged to fully join the Court as a move to align its judiciary with regional and international standards. 14. Free expression and human rights organisations – particularly those outside of Egypt – should make clear the names and titles of officials who take actions against freedom of expression, so that they are subject to scrutiny and do not operate with anonymity. 1. Promote respect for the guarantees of free expression and press freedom set forth in Arts. 70-72 of Egypt’s Constitution, and ensure that government officials and security officers understand and respect the media’s necessary role in a democratic state. 2. Provide members of the judiciary with training on upholding guarantees of human rights that Egypt has agreed to respect in both its Constitution and domestic laws, and in its international commitments, particularly Art. 19 of the Universal Declaration of Human Rights and Art. 19 of the International Covenant on Civil and Political Rights. 3. Ensure that laws are applied uniformly and work to promote journalists’ knowledge of their legal rights. 4. Work to ensure that terms such as “terrorism” or offering “support for terrorism” are clearly and narrowly defined in law and are not misused. 5. Given the importance of independent public service broadcasting, take steps to transition the Egyptian Radio Television Union (ERTU) from a state broadcaster to a true public service broadcaster and ensure that safeguards are in place to ensure its editorial independence. As part of that effort, seek the assistance sector-specialised international unions, such as the Arab States Broadcasting Union (ASBU) and the European Broadcasting Union (EBU). 6. Ensure that reports of crimes against journalists are thoroughly investigated – including allegations of crimes by government officials or security officers – and that those responsible for such crimes are held accountable. 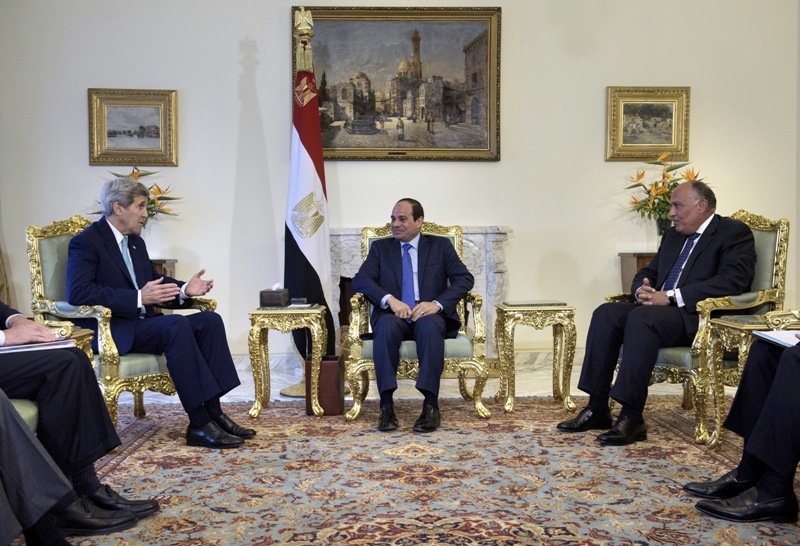 Further, actively take part in forthcoming U.N.-Inter-Agency Meetings in order to ensure that the recommendations of the U.N. Plan of Action on the Safety of Journalists and the Issue of Impunity are fully implemented in Egypt. 7. Reform Egypt’s Penal Code to ensure that defamation provisions align with international norms so that public officials may not use such laws to punish journalists. Ensure that truth constitutes a defence to libel cases, that public figures are required to accept greater scrutiny than private figures, and that individuals are able to avail themselves of civil proceedings in lieu of criminal complaints. Further, eliminate the Penal Code’s arduous newspaper regulation section. 8. Rewrite laws regulating media licensing and public demonstrations that were in existence prior to 2011 to ensure that they comply with Egypt’s human rights commitments. IPI and numerous other free expression groups stand ready to assist in any review of such laws. 9. Insofar as countries with low levels of press freedom can face high levels of corruption among journalists, allow journalists to work independently and in accordance with a code of ethics developed within a self-regulatory framework. 10. Create an independent, national ombudsman position based in Cairo and subject to guarantees of independence from the government – similar to the model adopted in Ireland – to oversee and investigate complaints accusing media houses of alleged ethical violations. Further, provide that the ombudsman makes information regarding those investigations public via the production of regular reports on findings. 11. Fully join the African Court on Human and Peoples’ Rights as a move to align the country’s judiciary with regional and international standards. 12. Repeal recent anti-terrorism legislation that prohibits journalists from reporting on terrorist attacks in a way that contradicts official versions of events. Read IPI’s statement accompany the release of the recommendations “IPI urges Egypt to heed press freedom recommendations“.